Biomimetic membranes have high water permeability with high selectivity. Recent developments will increase their applications and variety in membrane technologies. This chapter focuses on the type and characteristics of water channels that can be used in these membranes. 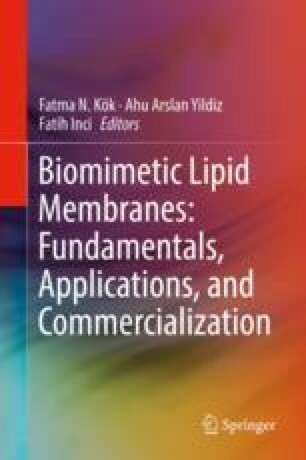 Also, strategies that can be used for fabrication of biomimetic membranes; lipid/polymer types and concentration that can be used in these membranes; and substrate types that are appropriate to use are summarized in details. The chapter is continued with applications of biomimetic membranes for the treatment of water and wastewater. The authors are grateful to TUBITAK (The Scientific and Technological Research Council of Turkey) for the financial support under grant (Project No: 113Y359).